Bio: Nick grew up in Port Washington starring on the lacrosse field as a goalie. After being named All-American 3 times during his college career, Nick graduated and went on to become a Port Washington Police Officer. 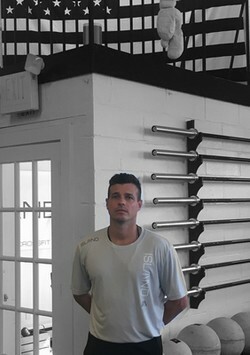 To prepare for the tactical field, he began training using CrossFit in 2009. After finding massive success with the program, he earned his coaching credential in 2013. Nick’s experience working with individuals and groups has equipped him with a coaching style that suits athletes of all skill and ability levels.